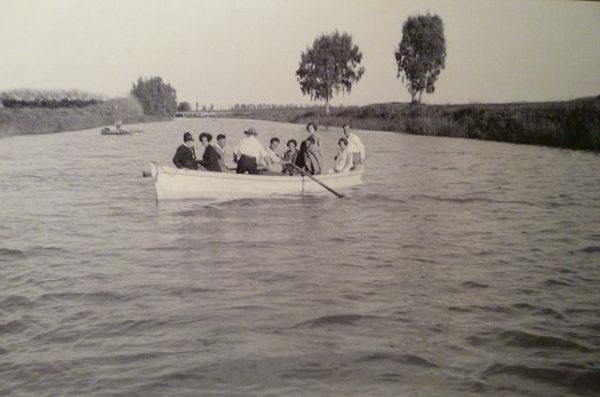 I have fond memories of the Yarkon River. On one of my first dates with the Israeli woman who would become my wife, we sat under a grove of fragrant eucalyptus trees on the bank of the Yarkon in Tel Aviv, talked and admired the lush scenery. It was early April and the weather was perfect. 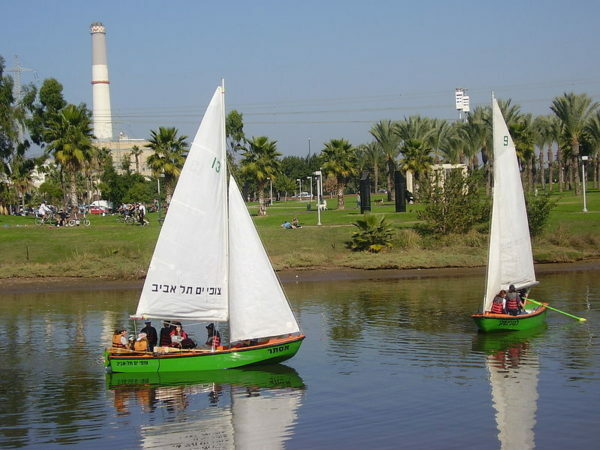 Years later, on a sultry summer afternoon, I spent two hours cycling around Yarkon Park, watching the placid flow of the greenish river. 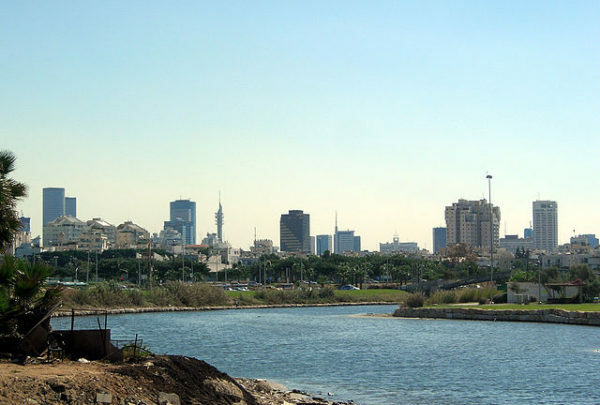 These memories flooded back after I saw Winding, Avi Belkin’s poetic paean to the Yarkon, Israel’s longest coastal river. Twenty eight kilometres in length, it originates near Rosh Ha’ayin and empties unobtrusively into the Mediterranean Sea. Winding will be screened at the Planet in Focus Environmental Film Festival in Toronto on Saturday, October 22 at 9:30 p.m. at AGO Jackman Hall. This was not always the case, of course. During the 400-year Ottoman period, which ended in 1918, the Yarkon was relatively pristine and lined with flour mills worked by Arabs from neighboring villages. Jews established settlements in the vicinity of the Yarkon in the late 19th and early 20th centuries, but were sent packing by raging winter floods that destroyed their homes. 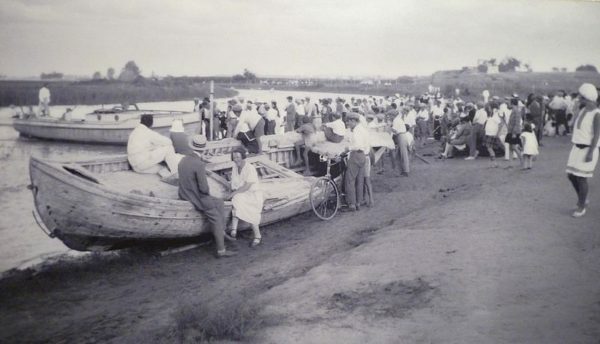 During the British Mandate era, row boats and sail boats could often be seen on the river. In Winding, Belkin presents the positive and negative elements of the river and its park lands. He does so through the medium of eloquent words, plaintive Hebrew melodies, blurry file footage and nostalgic photographs from a gauzy past. It’s a magical combination. A woman remembers her first kiss under a eucalyptus. A man says he fell under its sylvan spell and is still drawn to it. Another person recalls pleasant afternoons at a cafe jointly owned by Jews and Arabs. Regrettably, Arab terrorists attacked the cafe and it closed. The saddest parts of the film relate to river’s incremental decline after Israel’s creation. In his zeal to develop the Negev Desert, comprising two-thirds of the country’s land mass, David Ben-Gurion, Israel’s first prime minister, diverted its waters through the National Water Carrier, a major infrastructure project. As the river was drained of its vitality, factories poured waste products into it and fish by the thousands died. “It was treated like a sewer,” says a man scornfully. To no one’s surprise, the stench drove away residents who lived in adjacent neighborhoods. In the late 1980s, the belated task of cleaning it up began, but years would elapse before it was finally rehabilitated. During the interval, four Australian athletes participating in the 15th Maccabiah Games were killed after a makeshift bridge spanning the Yarkon collapsed. Pathologists determined that their deaths were caused by fatal doses of chemicals and pesticides in the putrid river. 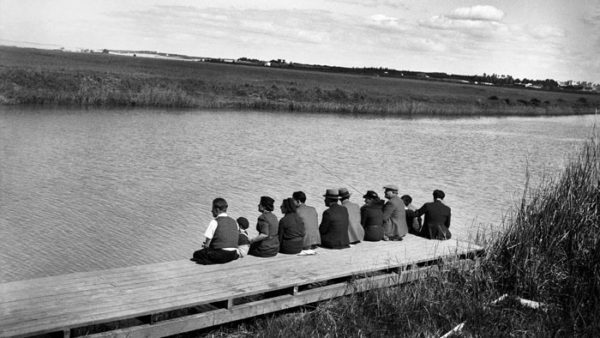 By then, the Yarkon had become a “cursed” body of water in the minds of many Israelis. The Yarkon has been brought back from the brink in the last 30 years, but to old timers, it is not what it once was. Thanks to Belkin, we now have a reasonably complete picture of a river embedded in Israeli Jewish folk culture.